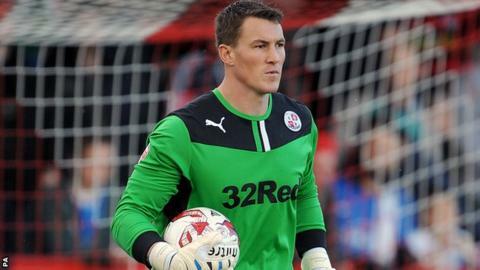 Goalkeeper Jamie Ashdown has left Crawley Town by mutual consent. The 33-year-old and that would have expired on 31 December. He made 12 appearances for the League One side, but the Red Devils on loan from Crystal Palace last week. Ashdown has played 183 games in spells at Reading, Ebbsfleet Town, Portsmouth, Bournemouth, Rushden & Diamonds, Norwich City and Leeds United.